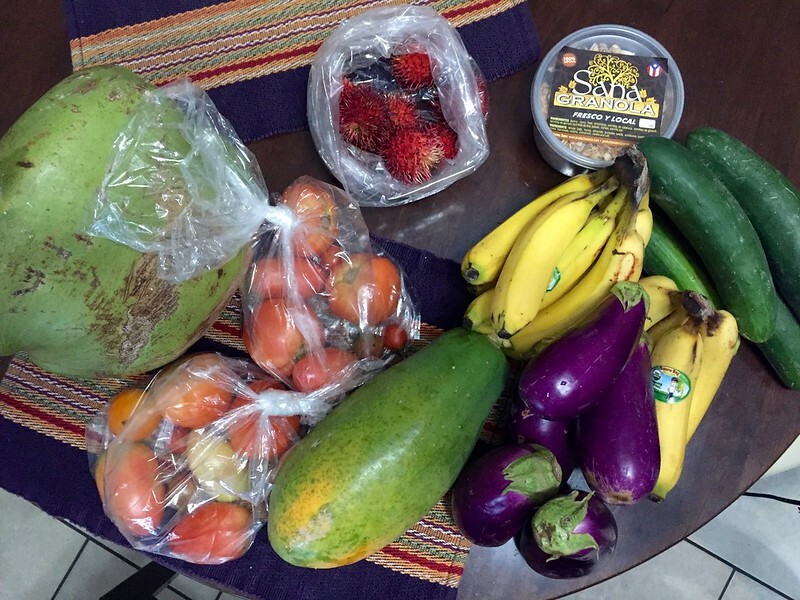 Last week we got our first CSA box from Productos Sana!! No commitment necessary and a small box only runs $25 a week! Sana has a little produce stand as you drive into town, right across from the post office, but with fruit stands being quite common here, I never thought to stop, this was clearly a mistake on my part. Sana is a company based on the west coast here, in Cabo Rojo, and their goal is to to bring local natural products to its customers. They have a family run organic farm and offer fruits, veggies, and other locally produced products. Here’s what we got this week in our first of many boxes, sadly no greens as I’ve been told their greens are wonderful, but lots of fun produce to try! 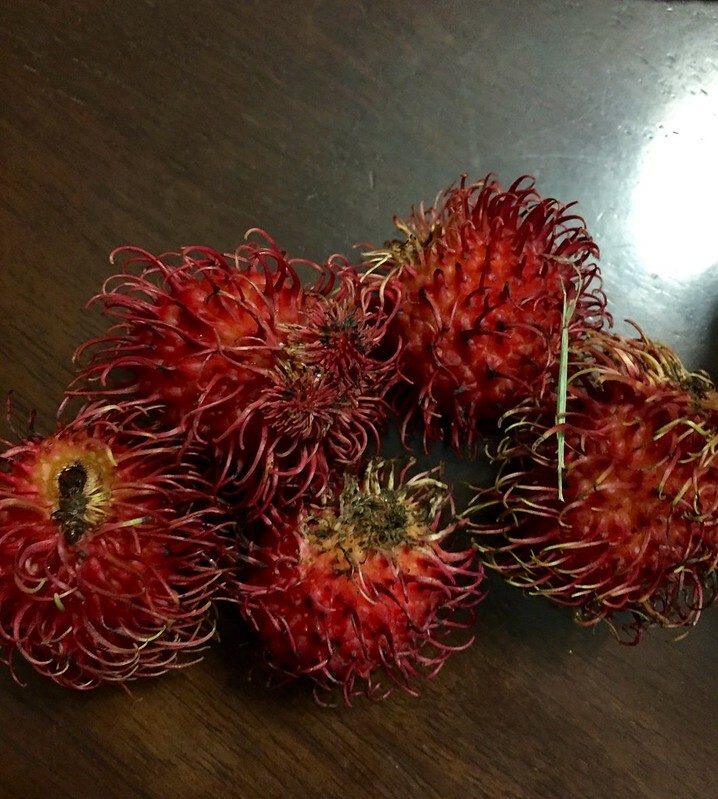 My favorite item in the box this week was the Rambutan. I’ve seen it before but never tried it. Its pretty amazing. You cut a slit in the skin then peel it off and eat the flesh off the seed inside. 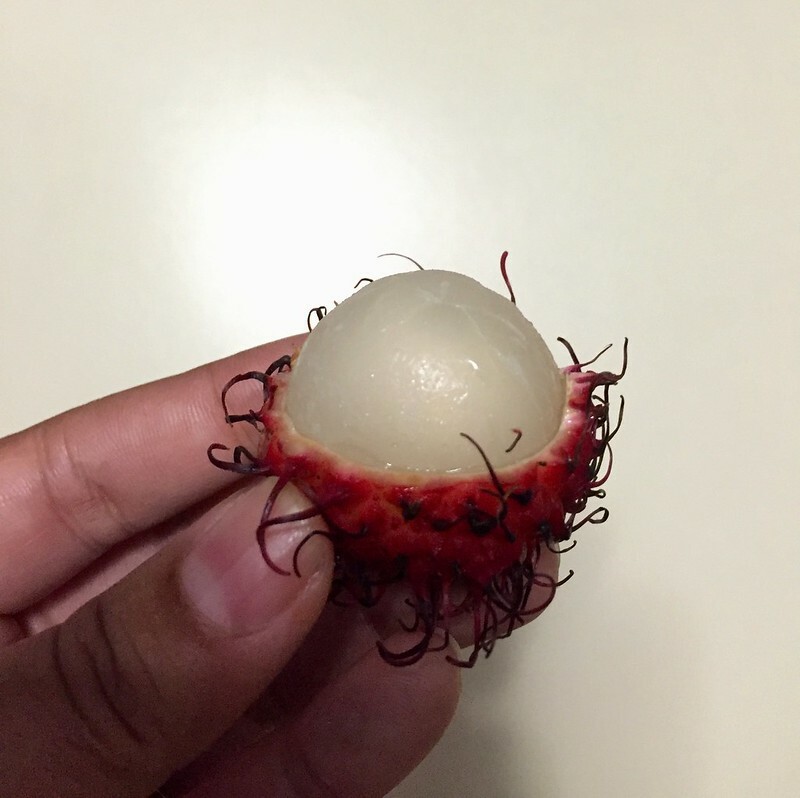 It’s a mild version of a lychee or a quenepa and related to both. The best part is we saved some of the seeds so we can sprout our own and hopefully have a few trees with fruit in a few years! I’ve been wanting to learn how to whack open a coconut like they do at the coco frio stands here, three whacks and you have coconut water and meat! (if you're a professional...) We decided to drain ours first using a drill so we didn’t lose all the water when we whacked it open. 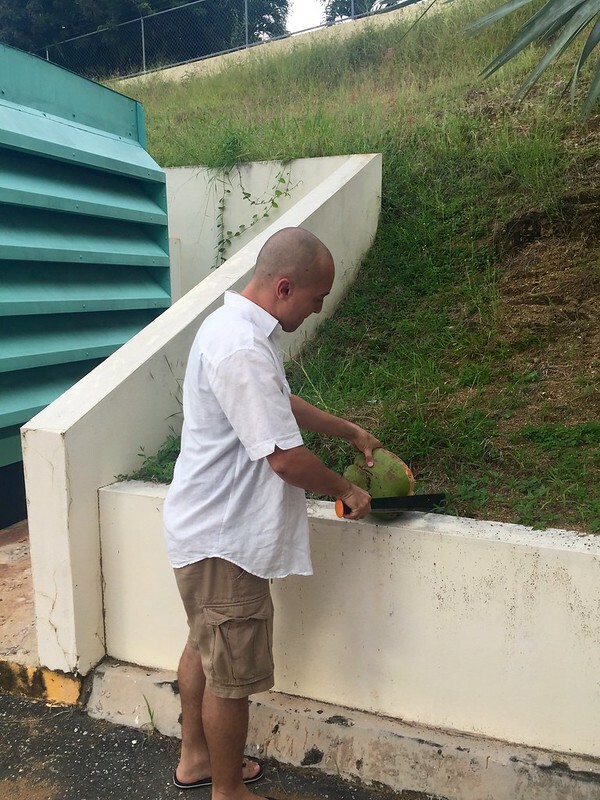 It took us, mostly Alejandro, about 10 minutes to get the coconut husk off and the nut cracked open. We need a shorter machete than what we have and I need a little more practice before I don’t feel like I'm going to lose a finger. I admit I was a little wary about the papaya, I’m not usually a big fan as they taste a little funky to me, but I blended it with some limeade and had a really refreshing drink - I highly recommend it! I feel lucky we’ve been able to get the CSA box, as it allows us to try the produce that grows locally and find some items we haven't had much luck finding in the grocery stores. One day I hope to grow a lot of this ourselves, but in the meantime I like supporting the local farms here and love wondering what we’ll be getting each week!